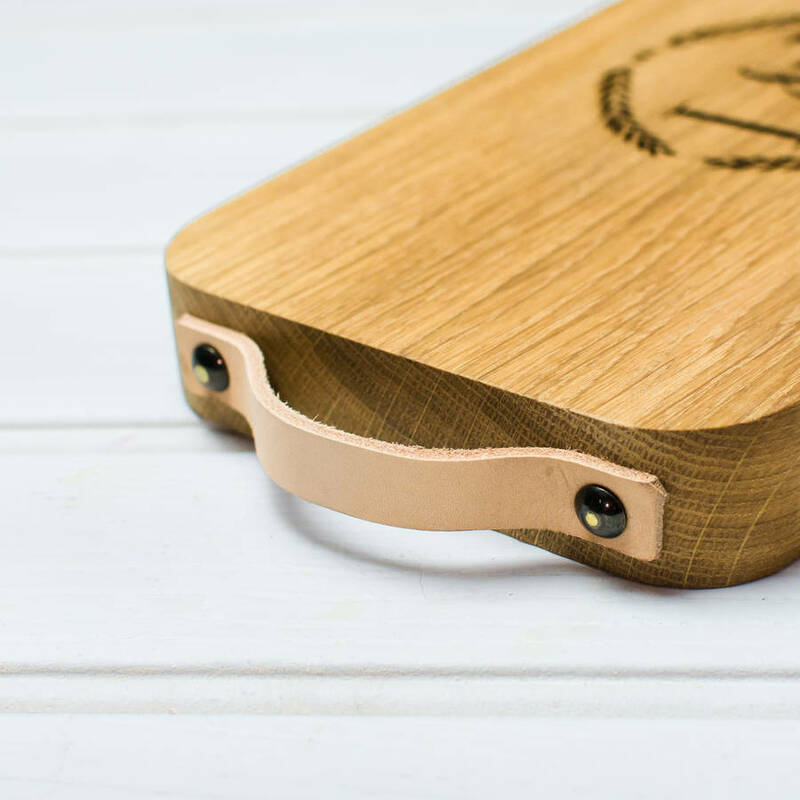 Ideally created from solid oak and beautiful leather to make a product that is as beautiful as it is useful. 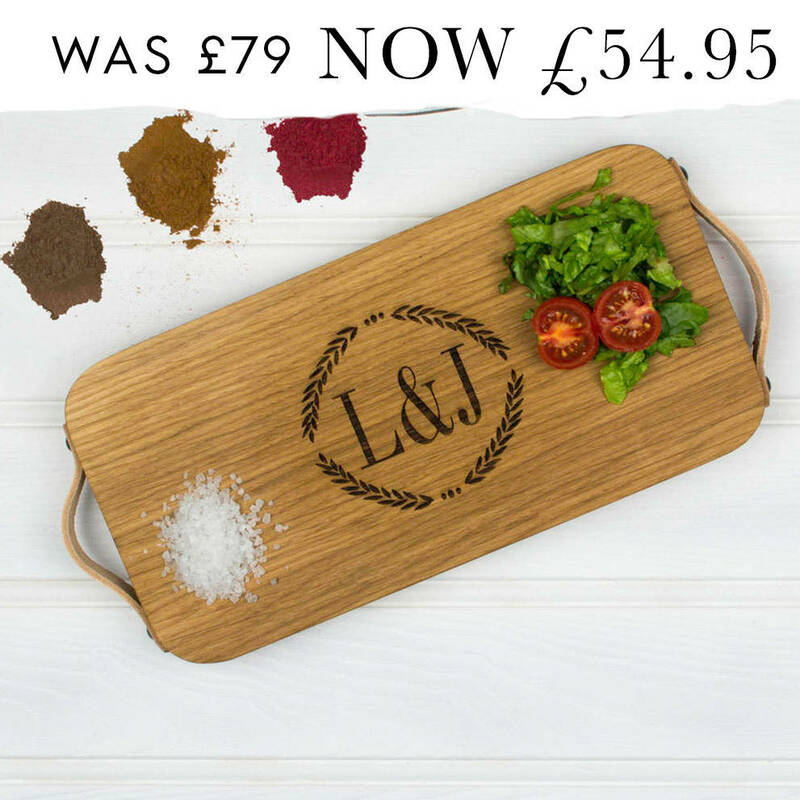 This personalised chopping board is an amazing wedding gift for newlyweds, or as a special 5 year wedding anniversary gift. But lets not be gift-ist, this would be a fabulous gift at anytime! Designed and produced in house here at Bespoke & Oak HQ, on the edge of the Forest of Bowland in the beautiful Lancashire countryside. 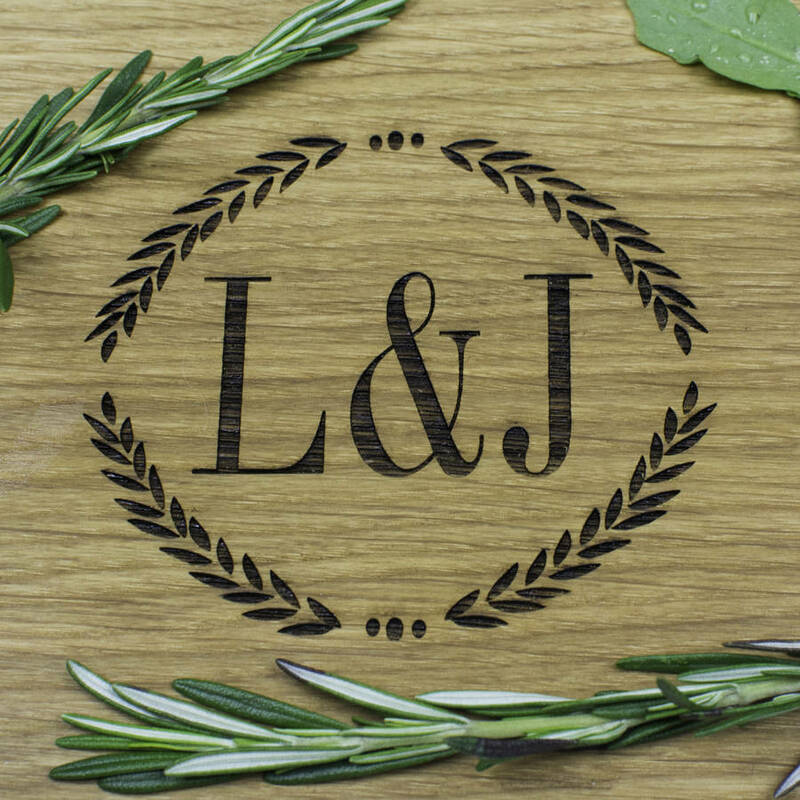 We take great pride in producing extra special gifts for each and every customer. 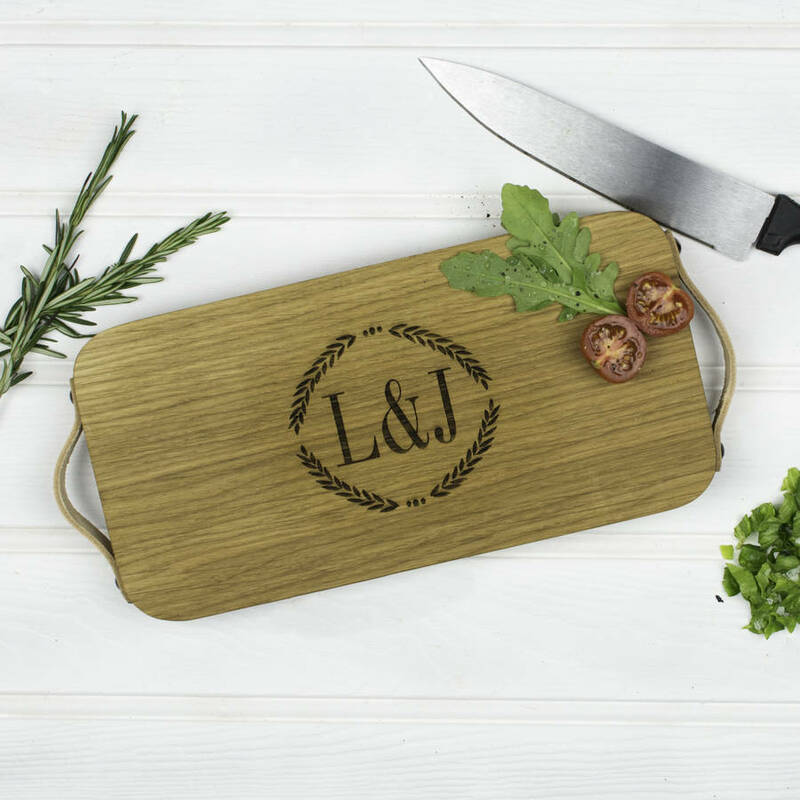 Each board is handcut and sanded, whilst our laser engraving technology adds the personalised monogram to the boards surface. Solid oak and veg tan leather straps.